Herbal medicinals are being used by an increasing number of patients who typically do not advise their clinicians of concomitant use. Known or potential drug-herb interactions exist and should be screened for. If used beyond 8 weeks, Echinacea could cause hepatotoxicity and therefore should not be used with other known hepatoxic drugs, such as anabolic steroids, amiodarone, methotrexate, and ketoconazole. However, Echinacea lacks the 1,2 saturated necrine ring associated with hepatoxicity of pyrrolizidine alkaloids. Nonsteroidal anti-inflammatory drugs may negate the usefulness of feverfew in the treatment of migraine headaches. Feverfew, garlic, Ginkgo, ginger, and ginseng may alter bleeding time and should not be used concomitantly with warfarin sodium. Additionally, ginseng may cause headache, tremulousness, and manic episodes in patients treated with phenelzine sulfate. Ginseng should also not be used with estrogens or corticosteroids because of possible additive effects. Since the mechanism of action of St John wort is uncertain, concomitant use with monoamine oxidase inhibitors and selective serotonin reuptake inhibitors is ill advised. Valerian should not be used concomitantly with barbiturates because excessive sedation may occur. Kyushin, licorice, plantain, uzara root, hawthorn, and ginseng may interfere with either digoxin pharmacodynamically or with digoxin monitoring. Evening primrose oil and borage should not be used with anticonvulsants because they may lower the seizure threshold. Shankapulshpi, an Ayurvedic preparation, may decrease phenytoin levels as well as diminish drug efficacy. Kava when used with alprazolam has resulted in coma. Immunostimulants (eg, Echinacea and zinc) should not be given with immunosuppressants (eg, corticosteroids and cyclosporine). Tannic acids present in some herbs (eg, St John wort and saw palmetto) may inhibit the absorption of iron. Kelp as a source of iodine may interfere with thyroid replacement therapies. Licorice can offset the pharmacological effect of spironolactone. Numerous herbs (eg, karela and ginseng) may affect blood glucose levels and should not be used in patients with diabetes mellitus. The herbal market in the United States is experiencing unprecedented growth. Herbal medicinal sales increased nearly 59% in 1997.1 In 1997, 60 million Americans stated that they had used herbs in the previous year, accounting for $3.24 billion in sales.2 It has been noted that 70% of patients do not reveal their herbal use to their allopathic practitioners (ie, physicians and pharmacists).3 Hence, not only is the potential for drug-herb interactions unmonitored but the concomitant use may not even be acknowledged. This phenomenon is fraught with peril and is the subject of this article. It is paramount for clinicians to be aware of known or potential drug-herb interactions to adequately treat their patients. The selection criteria for this article were (1) relatively commonly used herbs and (2) herbs with known or potential drug-herb interactions. Frequently used herbs will be presented first, and their use with known efficacy studies with associated drug-herb interactions will be outlined. Second, drugs with narrow therapeutic margins and drugs with the known or potential drug-herb interactions with commonly used herbal medicinals will be reviewed in the context of concomitant use. With both of these approaches, most of the known or potential important drug-herb interactions will be addressed. Chamomile is used for its mild sedative effects but has also been noted to have antispasmodic and antiseptic activity.4 In a study of its sedative effects, chamomile was effective in inducing a deep sleep in 10 (83%) of 12 recipients who were about to undergo cardiac catheterization.5 Unfortunately, allergic reactions seem to commonly occur with symptoms that include abdominal cramps, tongue thickness, tight sensation in throat, angioedema of lips and eyes, diffuse pruritus, generalized urticaria, upper airway obstruction, and pharyngeal edema.6,7 Many of these patients were also allergic to ragweed, which serves as an IgE marker for cross-allerginicity. Chamomile contains coumarin, which is reported to exert an antispasmodic effect.8 However, this effect has not yet translated into any coagulation disorders despite its widespread human use. Because chamomile's effect on the coagulation system has not yet been studied, it is unknown if a clinically significant drug-herb interaction exists with known anticoagulants such as warfarin. If used concomitantly, close monitoring is advised. Three kinds of Echinacea exist: Echinacea angustifolia, Echinacea pallida, and Echinacea purpurea. The Germans recommend using the above-ground parts of E purpurea (not the roots) or the roots of E angustifolia. In vitro stimulation of phagocytosis has been reported with E purpurea attributed to immunologically active polysaccharides; therefore, it is touted as an anti-infective via immunostimulation.9-12 Symptoms of immunostimulation (eg, shivering, fever, and muscle weakness) ensue after parenteral administration but generally are not observed following oral administration in which the most common adverse effect is an unpleasant taste.13 Purportedly, tachyphylaxis ensues if Echinacea mechanisms are used for more than 8 weeks although the mechanism of this phenomenon has not been determined.14 Since hepatotoxic effects may be associated with persistent use, it should not be taken with other known hepatotoxic drugs (eg, anabolic steroids, amiodarone, methotrexate, or ketoconazole). However, the magnitude of this hepatoxicity has been questioned since Echinacea lacks the 1, 2 unsaturated necrine ring system associated with hepatoxicity of pyrrolizidine alkaloids. Feverfew's most common use is for migraines. Seventeen patients who used feverfew daily as migraine prophylaxis enrolled in a double-blind, placebo-controlled trial in which 8 patients continued to receive feverfew while 9 received placebo.15 Those who received placebo (ie, untreated patients) had a significant increase in the frequency and severity of headache (mean± SEM, 3.13 ± 0.77 headaches every 6 months when taking placebo vs 1.69 ± 0.57 headache every 6 months when taking feverfew), nausea, and vomiting, whereas there was no change in the group receiving feverfew. In a larger study of 72 patients preceded by a 1-month single-blind, placebo run-in, feverfew was associated with a 24% reduction in the mean number and severity of attacks (3.6 attacks with feverfew vs 4.7 attacks with placebo over a 2-month period; P<.005) although the duration of the individual attacks was unaltered.16 Feverfew has been shown to suppress 86% to 88% of prostaglandin production but does not inhibit cyclooxygenase.17 Nonsteroidal anti-inflammatory drugs (NSAIDs) may reduce the effectiveness of feverfew perhaps mediated by its prostaglandin inhibition effects.18 Feverfew is contraindicated to those allergic to other members of the family Compositae (Asteraceae) such as chamomile, ragweed, or yarrow.17 Not all products contain an adequate amount (0.2%) of parthenolide, a possible component for activity, therefore this bears validation.19 Postfeverfew syndrome involves nervousness, tension, headaches, insomnia, stiffness, joint pain, and tiredness.20 Feverfew has been shown to inhibit platelet activity.21,22 Hence, it is advised to avoid use of feverfew in patients receiving warfarin or other anticoagulants. Although touted by the herbal industry to possess various properties (including but not limited to antispasmodic, antiseptic, bacteriostatic, antiviral activities, as well as a promoter of leukocytosis), the most recent use of garlic (Allium sativum) has targeted its hypotensive and hypocholesterolemic activity.23 Numerous animal studies have documented garlic's hypotensive effects, with a usual onset of action of 30 minutes.24-26 However, this was not sustained for more than 2 hours in the rat model.24-26 In a review of human experiments, Kleijnen et al27 observed that studies were not well designed and suffered from small enrollments with no treatment groups including more than 25 patients. They noted that blinding of the studies was nearly impossible because of garlic's characteristic odor, which correlated with the sulfide component. Furthermore, the dosages needed were unacceptably high (at least 7 garlic cloves daily) and often were associated with adverse effects, such as gastrointestinal upset, allergic reactions, and dermatitis.27,28 In a meta-analysis of 8 trials evaluating 415 subjects, 3 trials demonstrated a significant reduction in systolic blood pressure and 4 studies found a decrease in diastolic blood pressure.29 While garlic may have some benefit in patients with mild hypertension, there is still insufficient evidence to recommend its routine use in clinical practice. Garlic has also been studied for its possible use in hypercholesterolemia. In a study of 47 ambulatory patients, garlic powder administered for 12 weeks was found to decrease diastolic blood pressure from 102 to 91 mm Hg after 8 weeks (P<.05) and to 89 mm Hg after 12 weeks (P<.01) with concomitant decreases in serum cholesterol (14%; 6.93-6.18 mmol/L [268-239 mg/dL] at 8 weeks; P<.05) and triglyceride levels (18%; 1.93-0.45 mmol/L [171-40 mg/dL]; P<.05) (SDs not provided).30 In a controlled trial and a meta-analysis of garlic use for patients with moderate hyperlipidemia, garlic's effects were modest at 300 mg, 3 times daily.31 Garlic was associated with a mean reduction in total cholesterol concentration of 0.65 mmol/L. Hence, garlic's effectiveness for hypercholesterolemia can be expected to be even less than that associated with hypertension. Nonetheless, adverse effects present a concern with the use of garlic. Its use is associated with inhibition of spermatogenesis in rats.32 This inhibition is thought to be secondary to the reduction in cholesterol and trigcycleride levels, seemingly conflicting notions when considering the supposed lack of effectiveness of garlic for hyperlipidemia.32 When used for hyperlipidemia in 308 patients, garlic was also associated with decreased platelet aggregation.33 In a study of 6 healthy adults, decreased platelet aggregation was noted within 5 days of oral administration, theorized to be secondary to inhibition of epinephrine-induced in vitro platelet aggregation.34 While these authors did not feel that the effect was of clinical significance, dysfunctional platelets have resulted in spontaneous spinal epidural hematoma in an 87-year-old man.35 Furthermore, several practitioners have noted elevated international normalized ratios (INRs) and prothrombin times in patients previously stabilized while taking warfarin; therefore, extreme caution is advised if these preparations must be used concomitantly. Ginger (Zingiber officinale) has been used as an antinauseant and antispasmodic agent. It has been subjected to placebo-controlled trials. In one such study, 8 volunteers received 1 g of powdered ginger root and then 1 hour later, were put in a dark room with their heads placed supinely 30° forward.36 Their vestibular system was then stimulated by irrigating the left ear for 40 seconds with water that was at 44°C with recording of provoked nystagmus via electronystagmography. Ginger root was found to reduce induced vertigo significantly better than placebo with no subjects experiencing nausea, whereas 3 patients administered placebo did experience nausea. In a study of 36 patients, ginger was compared with 100 mg of dimenhydrinate while patients were subjected to a motor-driven revolving chair designed to produce motion sickness.37 None of the subjects receiving placebo or dimenhydrinate could stay in the chair for 6 minutes, whereas half of the patients receiving ginger stayed for the full time. Further study concluded that ginger exerts a gastric mechanism unlike dimenhydrinate, which has a central nervous system mechanism.38 Sixty women were enrolled in a study of ginger, metoclopramide hydrochloride, and placebo effectiveness to treat postoperative nausea and vomiting after they had undergone major gynecological surgery.39 Ginger and metoclopramide treatment were similarly significantly more efficacious than placebo. Ginger therapy has also been found effective in a study of 80 naval cadets unaccustomed to sailing in heavy seas who were subjected to voyages in high seas.40 The cadets maintained symptom reports relating to kinetosis (ie, seasickness).40 In keeping hourly scores for 4 consecutive hours following ingestion of either 1 g of ginger or placebo, use of ginger was found to be significantly (P<.05) better than placebo in reducing vomiting and cold sweating, as well as in reducing nausea and vertigo.40 The onset of action was 25 minutes and the duration of action was 4 hours.37 These successes have led some to investigate ginger's effectiveness in hyperemesis gravidarum. Powdered ginger root given to patients in daily 1-g doses was found to be significantly (P =.035) better than placebo treatment in diminishing or eliminating symptoms of hyperemesis gravidarum (relief score of 4.1 with ginger vs 0.9 for those receiving placebo).41 However, enthusiasm for this indication has been tempered by the finding of possible mutagenesis in Escherichia coli.42,43 Furthermore, ginger has been found to be a potent inhibitor of thromboxane synthetase, which prolongs bleeding time.44 Obviously, this result has adverse implications for pregnant patients but also provides the basis for the recommendation to avoid concomitant use with warfarin if at all possible. Ginkgo biloba is one of the most popular plant extracts in Europe and has recently received approval in Germany for treatment of dementia.45Ginkgo is composed of several flavonoids, terpenoids (eg, ginkgolides), and organic acids believed to synergistically act as free radical scavengers.46 Since excessive peroxidation and cell damage have been observed in Alzheimer disease, it is hoped that Ginkgo will prove effective.47 In an intent-to-treat analysis of 2020 patients, Ginkgo was found to decrease the Alzheimer's Disease Assessment Scale-Cognitive subscale score 1.4 points better than the placebo group (P =.04) with a Geriatric Evaluation by Relative's Rating Instrument score of 0.14 points better as well (P =.004).48 No significant difference in adverse effects was noted leading the investigators to conclude that Gingko was safe and capable of stabilizing and perhaps improving cognitive performance in patients with dementia and was of sufficient magnitude to be recognized by caregivers. Wide variation exists among ginseng products. Ginsenoside extraction methods have found Panax quinquefolius in American ginseng, Panax ginseng in Oriental ginseng, and Panax pseudoginseng var notoginseng in Sanchi ginseng.54 Panax-type ginsenosides were not detected in Siberian ginseng that instead contains Eleutherococcus senticosus. This distinction is important since properties vary according to the specific product. For example, the eleutherosides have been associated with falsely elevated digoxin levels in the absence of digoxin toxic effects presumably because of an interaction with the digoxin assay.55 The ginseng identity issue is further compounded by the finding of tremendous content variation in products labeled as containing ginseng.56 Using a spectrodensitometer and thin-layer chromatographic assay to quantify the panoxide and saponin content, only 25% of the commercially available products actually contained ginseng.56 Nevertheless, ginseng enjoys widespread popularity and has been touted as an adaptogen, perhaps augmenting adrenal steroidogenesis via the pituitary gland.57 In contradiction to this hypothesis is the finding of immunomodulatory effects of ginseng in mice (as measured by IgG and IgM responses to either a primary or secondary challenge with sheep red blood cells) with stimulation of interferon production in vitro.58 The immunomodulatory effect of ginseng was confirmed in a sheep erythrocyte study in mice in which cell-mediated immunity and natural killer cell activity were increased following administration of 10 mg/d per mouse for 4 days.59 Additionally, ginseng has had favorable results in a double-blind, placebo-controlled study of 36 newly diagnosed patients with type 2 diabetes.60 A 200-mg dose improved the subjective ratings of mood, vigor, and well-being, which was associated with increased physical activity and reduced weight. A lower fasting blood glucose level was also associated with ginseng treatment but not with placebo (mean ± SEM, 7.4 mmol/L ± 1.1 and 8.3 mmol/L± 1.3, respectively). The hypoglycemic effects have been attributed to ginsenoside Rb2 and more specifically to panaxans I, J, K, and L.61-65 Certainly more studies are warranted regarding ginseng's use in the population with diabetes. Ginseng's adverse effect profile includes hypertension, insomnia, vomiting, headache, and epistaxis.66,67 Stevens-Johnson syndrome was noted in a 27-year-old law student from China following use of 2 tablets (unspecified milligram amount) of ginseng for 3 days, resulting in moderate infiltration of the dermis by mononuclear cells.68 Oral administration of 200 mg of ginseng for an unspecified time to a 72-year-old woman resulted in vaginal bleeding attributed to a moderate estrogen effect.69 Vaginal bleeding has also been reported following use of ginseng face cream for 1 month when an endometrial biopsy specimen demonstrated a disordered proliferative pattern.70 Mastalgia with diffuse breast nodularity has been reported in a 70-year-old woman after 3 weeks of use of a ginseng powder; her condition resolved after she discontinued using ginseng.71 Neonatal androgenization secondary to ginseng has been debated in the literature in cases in which maternal use of ginseng was identified as the cause of androgenization of the child.72,73 However, others contend the entity in question was in fact a botanically distinct species, Siberian ginseng, that when studied in rats at equivalent doses is not associated with androgenicity.74 Given the wide variety of ginseng products available, it would be prudent to avoid the use of ginseng during pregnancy until the issue is adequately resolved. Drug interactions have been noted with the use of ginseng. A 47-year-old man with a St Jude–type mechanical heart valve in the aortic position had been stabilized while receiving warfarin for 5 years but became destabilized following administration of ginseng.75 The patient's INR decreased to 1.5 after 2 weeks of ginseng, which had been preceded by an INR of 3.1. Following the discontinuation of ginseng therapy, the INR returned to 3.3 within 2 weeks. The mechanism underlying this drug-herb interaction is unknown but may be related to the antiplatelet components in P ginseng.76 Concomitant use with warfarin, heparin, aspirin, and NSAIDs should be avoided. Several case reports have documented headache, tremulousness, and manic episodes in patients treated with phenelzine when they started a regimen of ginseng.77,78 Central nervous system stimulant activity has been observed in a 2-year study of 133 ginseng users in which nervousness and sleeplessness were noted.79 The author of that study likens this ginseng effect to that of corticosteroid toxic effects, suggesting a steroid mechanism of action for ginseng. As a consequence, it would be wise to avoid use of ginseng in patients with manic-depressive disorders and psychosis. Additionally, ginseng may augment corticosteroid toxic effects in predisposed patients. However, ginseng's effect on blood glucose levels may not be congruent with that expected of corticosteroids (ie, hyperglycemia). While touted for its use as a diuretic, urinary antiseptic, and for its anabolic properties, the most common use for saw palmetto is for benign prostatic hypertrophy. The hexane extract of saw palmetto has been identified as the active ingredient with predominantly antiandrogenic activity and in vivo estrogenic activity demonstrated in rats.80 Saw palmetto has also been shown to inhibit both dihydrotestosterone binding at the androgen receptors and 5-α-reductase activity on testosterone, both being mechanisms thought to be influential in the management of benign prostatic hypertrophy.81 In 2 double-blind trials both objective (eg, frequency of nocturia and urine flow rate) and subjective (eg, dysuria intensity and patient's self-rating) data indicated significant (P<.01) improvement when saw palmetto (320 mg/d) was compared with placebo.82,83 For example, the flow rate was mean ± SEM, 5.35 ± 1.51 mL/s before treatment and was 8.05 ± 2.47 mL/s after treatment (50.5% improvement; P<.001).82 In a 3-year trial of 309 patients, saw palmetto increased urinary flow rate to 6.1 mL/s with a 50% decrease in residual urine volume vs finasteride that demonstrated a 30% decrease in symptom scores over 3 years, with only a slight improvement in urine flow and no change in residual volume.84 A comparative study evaluating saw palmetto, doxazosin or terazosin (α1-adrenergic blocking agent), finasteride (a 5-α-reductase inhibitor), and flutamide (an antiandrogen) in the treatment of benign prostatic hypertrophy is needed. Adverse effects appear minimal and are characterized mostly by gastrointestinal upset.83 While no drug-herb interactions have been documented to date, it would be prudent to avoid concomitant use with other hormonal therapies (eg, estrogen replacement therapy and oral contraceptives), which may provide an additive effect. The most prominent adverse effect associated with St John wort is photosensitivity attributed to its hypericin component.90 Hence, fair-skinned individuals should be particularly cautious. Concomitant use with other known photosensitizers, such as piroxicam or tetracycline hydrochloride, should be avoided. Until the MAOI status of St John wort has been defined, it would also be prudent to avoid concomitant use with known MAOIs, such as phenelzine or with betasympathomimetic amines (eg, ma huang or pseudoephedrine hydrochloride). Similarly, symptoms of serotonism (eg, headache, sweating, dizziness, and agitation) may be encountered if used concomitantly with selective serotonin reuptake inhibitors (eg, fluoxetine and paroxetine) if St John wort is found to have selective serotonin reuptake inhibitor effects as well. In a study of 8 volunteers with mild insomnia, an aqueous extract of 450 or 900 mg of valerian was compared with placebo in a double-blind, repeated-measures, random study.91 A significant decrease in sleep latency was noted with 450 mg of valerian compared with placebo (mean ± SEM, 15.8 ± 2.2 minutes vs 9.0 ± 1.5 minutes; P<.01).91 The higher dose of valerian (900 mg) was not associated with any further improvement in sleep latency.91 These findings concur with another study of 128 patients that notes not only significantly decreased sleep latency but also that patients felt sleepier waking in the morning.92 Valerian has not been noted to change sleep stages or electroencephalographic spectra and has been characterized as a mild hypnotic substance.93 Purportedly, valerian does not interact with alcohol but this finding has been disputed, leading some to warn against its use with alcohol.94 Furthermore, valerian has been shown to prolong thiopental- and pentobarbital-induced sleep.55,95,96 Hence, valerian should not be used with barbiturates. The first drugs to be addressed will be those with a narrow therapeutic window. Given their toxicities and the potential adverse sequelae if blood levels fall outside the therapeutic range, those drugs can be quickly and acutely affected by concomitant herbal therapies. A summary of herb-drug interactions affecting commonly used drugs is provided in Table 1. Numerous herbs containing cardiac glycosides have been identified as containing digoxinlike substances. These include Adonis vernalis (adonis, false hellebore, pheasant's eye), Apocynum androsaemifolium (dogbane, milkweed, and wild ipecac), Apocynum cannabinum (dogbane, milkweed, and wild ipecac), Asclepias tuberosa (pleurisy root), Convallaria majalis (lily of the valley), Cystisus scoparius (broom), Digitalis lanata (yellow foxglove), and Digitalis purpurea (purple foxglove). Other herbal medicinals include Eleutherococcus senticosus (Siberian ginseng), kyushin (Chinese medicine), Leonurus cardiaca (motherwort), Scilla maritima (white squill), Scrophularia nodosa (figwort), Strophantus kombe (strophanthus), and Uzarae radix (uzara root). Reports have documented the various problems encountered with these entities. Various lots of plantain (used as an herbal laxative) have been adulterated with potentially toxic woolly foxglove resulting in a Food and Drug Administration advisory.97,98 Foxglove was included in a product called Chomper, of the Cleanse Thyself line, Aris and Shine Company, Mount Shasta, Calif. While the company voluntarily recalled suspected batches, the Food and Drug Administration did report that 1 young woman had an abnormal heart rate with heartblock. Similarly, patients who present with ventricular tachycardia, unifocal and multiform premature ventricular contractions, and atrioventricular dissociation suggestive of digoxin toxic effects but who have not ingested digoxin should be asked if they have taken plantain. This incident speaks to the lack of good manufacturing practices of some herbal medicinal companies. Licorice has been advocated for gastrointestinal complaints, particularly peptic ulcer disease.99 However, in 1 case it was associated with pseudoaldosteronism that resulted in hypertension but both the pseudoaldosteronism and the hypertension resolved 2 weeks after the patient stopped using licorice.100,101 Its active component has been identified as glycyrrhizic acid, known to inhibit 11-β-hydroxysteroid dehydrogenase and should be included in a differential diagnosis of factitious mineralocorticoid excess.102-104 Licorice's mineralocorticoid effects can be offset with the use of spironolactone.105 Potassium loss has been associated with the use of licorice with chronic ingestion resulting in acute flaccid tetraparesis and hypokalemia.106 In this case, a 35-year-old man ingested 20 to 40 g/d of licorice tablets for 2 years, developing acute myopathy and complete paralysis of the proximal muscles of his arms and shoulder girdles, weakness of the muscles of his forearms and hands, weakness of his proximal leg muscles, and moderate weakness of his posterior and anterior neck muscles along with a serum potassium level of 2.1 mmol/L. With potassium repletion and discontinuation of the licorice regimen, the paralysis completely resolved within 3 days. However, an accelerated loss of potassium may result in increased sensitivity to digoxin treatment. A Chinese medicine containing kyushin has been documented to cross-react with digoxin assays. A patient taking digoxin, 0.25 mg/d, for congestive heart failure had a serum digoxin level of 2.5 mmol/L with no symptoms of digoxin intoxication.107 Kyushin contains chan su, the dried venom of the Chinese toad Bufo bufo gargarizans cantor, which purportedly has digoxinlike actions.108 It was determined that 1 tablet of kyushin had digoxinlike immunoreactivity equivalent to 1.9 µg (TDX analyzer, Abbott Laboratories, North Chicago, Ill) and 72 µg of digoxin (Enymun-Test, Boehringer, Mannheim, Germany). Thus, patients with spuriously elevated digoxin levels without associated signs and symptoms of digoxin toxicity should be approached cautiously and questioned regarding herbal therapies. Several herbal medicinals may lower the seizure threshold, thus offsetting beneficial effects from known anticonvulsants such as phenobarbital. Such herbs may contain thujone. Thujones are apparently present in wormwood (used as an appetite stimulant and for intestinal spasmodic disorders) and sage (used to treat flatulent dyspepsia, gingivitis, stomatitis, and galactorrhea).112 The mechanism of this proconvulsant effect is unknown. However, it would be prudent to avoid concomitant use with anticonvulsants and with drugs known to lower the seizure threshold (eg, tricyclic antidepressants). Evening primrose oil contains gamolenic acid (GLA) that lowers the seizure threshold.113 Recently, evening primrose oil has gained popularity as a remedy for premenstrual syndrome, which purportedly has been associated with low GLA levels.113 Evening primrose oil is touted as a good source of GLA. Evening primrose oil has also been used for diabetic neuropathy (with a purported reduced ability to desaturate essential fatty acids with resulting deficits in neuronal membrane structure), multiple sclerosis (although results have been contradictory), Sjögren syndrome (a feature of essential fatty acid deficiency is exocrine gland atrophy typical of Sjögren) and attention deficit/hyperactivity disorder.113 Hyperactive children supposedly have abnormal levels of essential fatty acid; however, no improvements in behavioral patterns were noted in one trial with evening primrose oil.114 Similarly, starflower (borage) has also been touted as a source of GLA. Borage is used herbally as a diaphoretic, expectorant, anti-inflammatory, and galactogogue.115 It has been used for fevers, coughs, and depression and is reputed to act as a restorative agent on the adrenal cortex.116 Borage oil is used as an alternative source to evening primrose oil for GLA. In human studies, it was found to attenuate cardiovascular reactivity to stress induced by a reduction in systolic blood pressure and heart rate and increased task performance although the underlying mechanism of action is unknown.117 However, borage does contain low concentrations of unsaturated pyrrolizidine alkaloids known to cause hepatotoxic effects (eg, comfrey).118 Therefore, do not use borage with other hepatotoxic drugs, such as anabolic steroids, phenothiazines, or ketoconazole. Neither evening primrose oil nor borage should be used concomitantly with other drugs known to lower the seizure threshold (eg, tricyclic antidepressants and phenothaizines). The effectiveness of phenytoin has been adversely affected by Shankapulshpi, an Ayurvedic preparation for epilepsy that contains119Convolvulus pluricaulis (chois), the leaves, Centella asiatica (urban), the whole plant, Nardostachys jatamansi (DC), rhizome, Nepeta hinostana (haines), the whole plant, Nepeta elliptica (Royle), the whole plant, and Onosma bracteatum (wall), the leaves and flowers. After observing 2 patients experience loss of seizure control, investigators evaluated the effect of Shankhapulshpi on phenytoin.120 They found with multidose administration of Shankhapulshpi (1 teaspoonful 3 times per day), the antiepileptic activity of phenytoin as well as the plasma levels were decreased. Phenytoin levels decreased from 9.62 ± 2.93µmol/L when administered alone to 5.10 ± 0.67 µmol/L when coadministered with Shankhapulshpi (P<.01). Additionally, coadministration of Shankhapulshpi resulted in diminution of phenytoin's antiepileptic effectiveness measured using maximal electroshock seizure induced by administering a 150-mA current for 0.2 seconds to animals (abolition of tonic hind limb extension was interpreted as protection from maximal electroshock seizure, reflecting antiepileptic activity).120 Thus, loss of seizure control with no changes in phenytoin dosing or pharmacokinetics should compel the clinician to explore the possibility of the patient self-administering this Ayurvedic preparation. Additionally, as with phenobarbital, thujone, evening primrose oil, and starflower may exert similar deleterious effects as outlined earlier with phenobarbital. Warfarin is an anticoagulant with a narrow therapeutic window with potentially fatal consequences if either bleeding complications arise or if subtherapeutic levels occur, thus not protecting the patient from thromboembolic events. Several herbs may interact with warfarin. As previously discussed, ginseng may decrease the effectiveness of warfarin. A 47-year-old man with a St Jude–type mechanical heart valve had received warfarin therapy for 5 years with a therapeutic INR 4 weeks before he started taking ginseng. Within 2 weeks, his INR declined to 1.5 but returned to 3.3 within 2 weeks of discontinuing the ginseng regimen.75 Fortunately, no thrombotic events occurred during this subtherapeutic period, but this result certainly highlights the potential lethality of this drug-herb interaction. Conversely, dan-shen (Salvia miltiorrhiza), a Chinese folk medicine remedy, has been noted to significantly increase maximum concentration (Cmax) (mean ± SD, 5500 ± 1636 ng/mL to 10,976 ± 3.975; P =.01) and time as maximum concentration (Tmax) (mean± SD, 3.6 ± 0.8 hours to 7.2 ± 1.7 hours; P =.001) and decrease the volume of distribution (142.5 ± 75.20 to 54.5 ± 18.9 mL; P<.005) and elimination half-life (31.8 ± 6.4 to 16 ± 2.6 hours; P =.001) of warfarin.121 Because of its coumarin constituents, excessive use is not recommended with known anticoagulants such as warfarin.122 Herbs that may interfere with warfarin treatment include arnica, celery, chamomile, dan-shen, dong quai, fenugreek, feverfew, garlic, ginger, Ginkgo, and ginseng. When used for hyperlipidemia for 308 patients, garlic was also associated with decreased platelet aggregation.33 In a study of 6 healthy adults, decreased platelet aggregation was noted within 5 days of oral administration theorized to be secondary to inhibition of epinephrine-induced in vitro platelet activity.34 While these authors did not feel the effect was of clinical significance, dysfunctional platelets have been implicated in spontaneous spinal epidural hematoma in an 87-year-old man who ingested 4 cloves of garlic daily (approximately 2000 mg) for an unspecified time.35 Caution is advised if these preparations must be used concomitantly. Ginger has been found to be a potent inhibitor of thromboxane synthetase with potential effects on bleeding time.44 While not quantified and fully characterized, it is an effect that could become clinically significant if used long-term. This mechanism theoretically could cause excess bleeding if used concomitantly with warfarin. Caution is advised. Feverfew may also inhibit platelet activity via neutralization of sulfydryl groups that may cause an increase in bleeding time and an associated increase in bleeding tendencies.21 A dose-dependent and irreversible inhibition of eiconsanoid generation has been demonstrated when levels range from 5 to 50 µg/mL.123,124 However, others contend that this platelet effect is of no clinical consequence and that platelets of all patients whether presently taking feverfew or having discontinued its use for 6 months have normal characteristic responses to adenosine diphosphate.125 Therefore, until this potential drug-herb interaction is further defined, concomitant use with warfarin should be avoided. Concomitant use of warfarin and Ginkgo is not recommended. Spontaneous bilateral subdural hematomas have occurred secondary to Ginkgo ingestion.50 These hematomas have been attributed to ginkgolide B, a potent inhibitor of platelet-activating factor that is needed to induce arachidonate-independent platelet aggregation.51 Hence, concomitant use with aspirin or any of the NSAIDs as well as anticoagulants such as warfarin and heparin are ill advised. α-Pyrone, the active component of kava, has been found to have weak effects on γ-aminobutyric acid and benzodiazepine receptors in vitro, although this has been disputed.130-132 Synergism between α-pyrones and other actve sedatives with γ-aminobutyric acid was verified in 1994 by a German study group.133 However, concomitant use with benzodiazepines is ill advised based on a case of coma following concomitant use. A 54-year-old man was hospitalized in a lethargic and disoriented state.134 His medications included alprazolam, cimetidine, and terazosin hydrochloride; his alcohol levels were negative and his drug screen was positive for benzodiazepines. He became more alert after several hours and stated that he had been taking kava for 3 days; he denied overdosing on kava or alprazolam.134 The kava–alprazolam drug interaction was identified as the cause. Zinc gluconate lozenges have been found useful in treating the common cold. In a randomized, double-blind, placebo-controlled study, time to complete resolution of symptoms was significantly shorter in the patients treated with zinc than the placebo group (median, 4.4 days compared with 7.6 days; P<.001). Patients treated with zinc had significantly fewer days with coughing (median, 2.0 days compared with 4.5 days; P =.04) and headache, (2.0 days compared with 3.0 days; P =.02) but were not significantly different in resolution of fever, muscle ache, scratchy throat, or sneezing.140 Twenty percent of patients experienced nausea and 80% had a bad-taste reaction.140 Mechanisms of action have yet to be determined but in vitro studies suggest that zinc may induce interferon production.141 Other proposed zinc mechanisms include the ability of zinc to prevent formation of viral capsid protein thereby inhibiting in vitro replication of several viruses including rhinovirus.142,143 This immunostimulating effect may be in opposition to immunosuppressive effects desired with the use of corticosteroids and/or cyclosporine. Therefore, zinc and other immunostimulating herbs should be avoided in autoimmune disorders (eg, rheumatoid arthritis and systemic lupus erythematosus) and in cases in which patients are using immunosuppressive therapies (eg, corticosteroids and cyclosporine) to avoid competing effects on the immune system. Goldenseal is an aquaretic, but is referred to by most herbalists as a diuretic.144 Other herbal diuretics include agrimony, artichoke, boldus, broom, buchu, burdock, celery seed, zea, coughgrass, dandelion, elder, guaiacum, juniper, pokeroot, shepherd's purse, squill, uva-ursi, and yarrow.145 The differentiation between a diuretic and an aquaretic is of clinical significance because with diuretics, sodium is excreted with the water whereas with aquaretics, sodium is not excreted. Therefore, aquaretics are not well suited for the treatment of edema and hypertension and may in fact worsen it. If taken with a diuretic (eg, hydrochlorothiazide) or any allopathic antihypertensive drug, it is conceivable that the antihypertensive effects will be diminished or offset as sodium is retained. Gossypol inhibits lactate dehydrogenase X found in sperm and male gonadal cells, hence exerting contraceptive activity.146 It has also been found to inhibit implantation and maintenance of a healthy pregnancy by adversely affecting lutenizing hormone levels and so has been studied in female fertility control.147 However, it has been associated with renal loss of potassium resulting in hypokalemia.146 Furthermore, this potassium loss cannot be reversed with potassium supplementation or with the use of the potassium blocker triamterene.148 Hence, concomitant use with allopathic drugs known to promote potassium loss (eg, hydrochlorothiazide and furosemide) should be avoided. Additionally, use with digoxin whose effects are potentiated in hypokalemia should be avoided as well. The tannins complex has iron-inhibiting absorption.149 While the interaction between iron and tannins has not yet been clinically observed, it is of sufficient concern to merit caution when the 2 components are used together. If a patient is not responding adequately to iron therapy, the clinician should inquire regarding concomitant use of herbal medicinals as described earlier. Horseradish is used herbally as an antiseptic with circulatory and digestive stimulation effects and as a diuretic.150 Traditionally, it has been used for pulmonary and urinary tract infections, urinary stones, and edematous conditions; it has been used externally for application to inflamed joints or tissues.150 However, it may depress thyroid function and should not be used with levothyroxine or other thyroid replacements.150 Patients with aberrant thyroid function tests should be questioned regarding herbal use of horseradish. 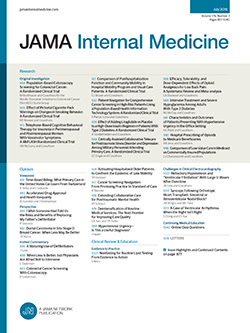 Kelp diets promoted for weight loss have caused myxedema in patients sensitive to iodide and, unfortunately, neither baseline serum triidothyronine and thyroxine concentrations nor the degree of serum iodide elevations were of prognostic value in predicting which patients would develop myxedema.151 Kelp contains 0.7 mg of iodine per tablet and may result in hyperthyroidism after 6 months of use as demonstrated in a 72-year-old woman who ingested a commercially available kelp product.152 Her hyperthyroidism resolved 6 months after she discontinued using the product. Therefore, concomitant use of kelp with levothyroxine or other thyroid replacements may result in hyperthyroidism. Additionally, concomitant use with known stimulants (eg, amphetamines, methylphenidate, or ma huang) could be dangerous. Hence, a patient complaining of unexpected gastrointestinal upset should be questioned regarding herbal medicinal use and concomitant use with known gastrointestinal irritants, such as NSAIDs, should be avoided. The effect of phenelzine and other MAOIs may be potentiated by numerous herbal medicinals. Panax ginseng is one such agent. A 64-year-old woman treated with phenelzine developed insomnia, headache, and tremulousness following the addition of ginseng (Natrol High ginseng tea).156 In the second case, a 42-year-old woman whose major depressive illness was being treated with phenelzine experienced headaches, irritability, and vague visual hallucinations with concomitant use of ginseng.157 Yohimbine and ma huang (Ephedra) may be implicated as well. St John wort was once purported to have MAOI activity and thus should not be used with other MAOIs, but more recent data call into question the clinical significance of its MAOI activity.88,158 Licorice (Glycyrrhiza glabra) may also adversely interact with MAOIs. Glycyrrhizin is 10 times more active as an MAOI as hypericin and has been identified as containing isoliquiritigenin, glycoumarin, licochalcone A, licochalcone B, and (-)-medicarpin (MAOIs).159 So, while it is relatively common to advise patients of dietary precautions when taking MAOIs, counseling regarding herbal medicinals should be included as well. Licorice may offset spironolactone's effects. Licorice is advocated as an antispasmodic and anti-inflammatory herb for use in gastritis and peptic ulcer disease. The hemisuccinate derivative of glycyrrhetainic acid, a component of licorice, is carbenoxolone, which is used allopathically for duodenal and gastric ulcers.160 Licorice renders the patient unable to convert 11-deoxycortisol or deoxycorticosterone into the active glucocorticoids, cortisol, and corticosterone, respectively.161 This acquired 11-β-hydroxylase deficiency results in sodium retention, hypertension, and hypokalemia.161 Within 10 days to 3 weeks of the discontinuation of the licorice regimen, the blood pressure will return to baseline.100,162,163 Given the underlying mechanism of licorice's effect on hypertension, spironolactone's antihypertensive effects may be diminished by licorice. Conversely, hypertension caused by licorice may be effectively treated with spironolactone. Numerous herbal medicinals have been shown to affect blood glucose levels including chromium, fenugreek, garlic, ginger, ginseng, Gymnema sylvestre, nettle, and sage for patients with hypoglycemia and devil's claw, ginseng, licorice, and ma huang for patients with hyperglycemia. Karela (Momordica charantia) has been shown to improve glucose tolerance.164,165 When taken in conjunction with chlorpropamide, the dose of the latter needed to be reduced, although this report specified neither the starting or adjusted final dose.166 Some claim chromium increases insulin activity and reduces the amount of insulin required to control blood glucose.167 However, in a prospective, double-blind, placebo-controlled, cross-over study of 28 patients receiving chromium picolinate, 200 mg/d, or placebo for 2 months, no statistically significant difference (P>.05) was noted in blood glucose control.168 Ginseng, whose activity has been attributed to 2% to 3% ginsenosides has been associated with hyperglycemic properties as well.63 There have been no reports of ginseng-induced hypoglycemic or hyperglycemic incidents in humans to date reported in the literature. The use of these herbal medicinals in patients with diabetes, especially those with brittle diabetes should be avoided. Theoretically, concomitant use of phytoestrogens with estrogen replacement may result in symptoms of estrogen excess such as nausea, bloating, hypotension, breast fullness or tenderness, migraine headache, and edema. Phytoestrogens are naturally occurring plant or food substances that are functionally similar to estradiol.169 While more than 500 plant species contain phytoestrogens, the more common herbs include dong quai, red clover, alfalfa, licorice, black cohosh, and soybeans.170,171 To date, no incidents of estrogen excess have been reported following concomitant use, but prudence would dictate avoiding simultaneous use if at all possible. Accepted for publication June 10, 1998. Reprints: Lucinda G. Miller, PharmD, BCPS, Department of Pharmacy Practice, Texas Tech University Health Sciences Center, 1300 Coulter, Amarillo 79121.